Pregnancy changes your whole body, but something you may not think about is the changes it does to your skin. I was only sixteen years old when I fell pregnant with my first, and the last thing I thought about was how it would change me, appearance-wise. I knew I gained weight - a lot but the next thing that bothered me quite a bit was having dry skin on my face, especially my forehead and cheeks. It was awful. 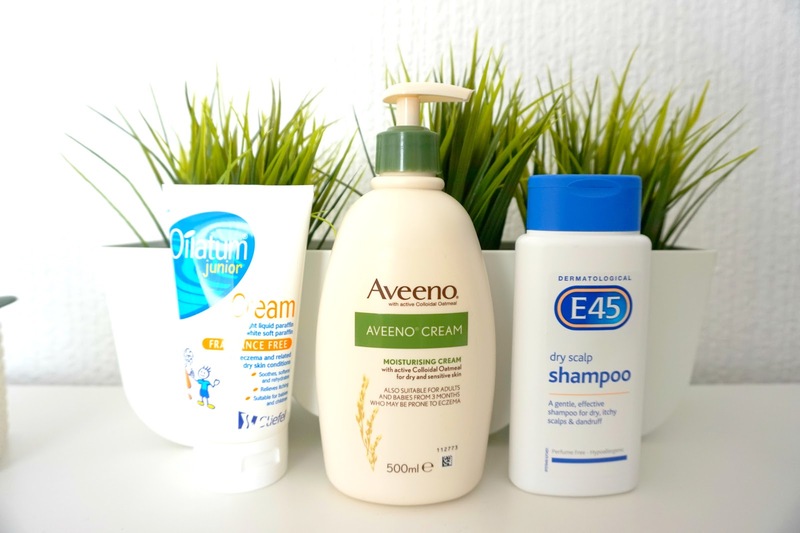 I went searching for creams, and the cream I first found was E45, and it improved. I carried on using it for a good few years, even when it was clear. I didn't suffer much with dry skin after my second, but my skin changed back to dry skin after my third child. It's quite annoying when it's on your face as you can't hide it. When HelloSkin got in contact to see if I'd be interested in reviewing any of their products I instantly said yes because I wanted to see if I could find something to help my skin again. 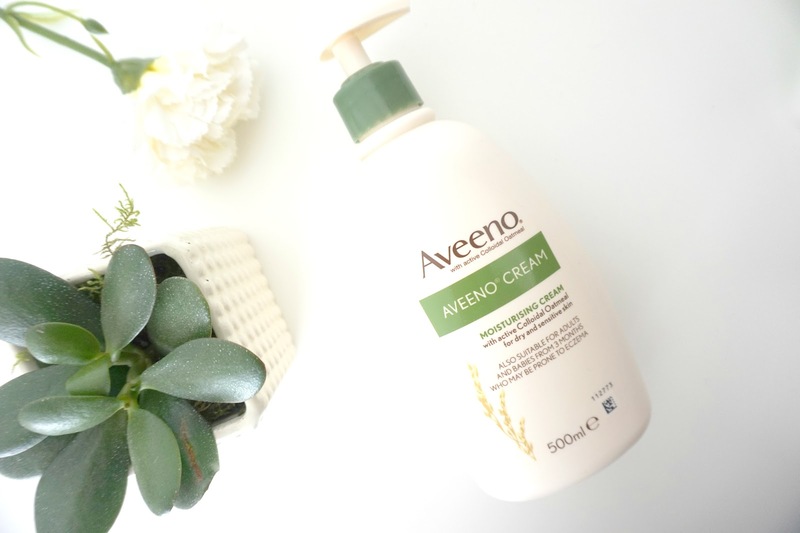 I decided to go for the Aveeno moisturising cream aimed for dry and sensitive skin. It comes in a 500ml bottle and is suitable for adults and babies from three months onwards who may be prone to eczema. Since using the Aveeno cream, it's definitely improved my skin and made it much smoother too. I'd definitely recommend this product to anyone who suffers from dry skin. It's really handy that it has a squeeze top instead of a lid, quicker and less mess. 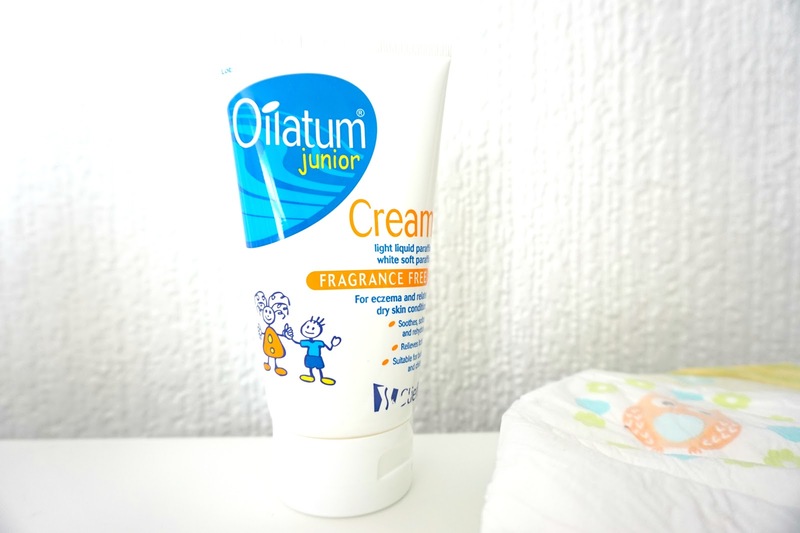 The second cream I decided to choose was the Oilatum junior cream which is a fragrance-free light liquid paraffin which helps eczema and related dry skin conditions for children. Freddie started to get dry skin on his legs, it didn't irritate him, but it felt really rough. Using this cream has helped the dry skin, and I think it's eczema related as we do have eczema in the family. It's handy to have some child-friendly cream in the house when you have kids just in case. 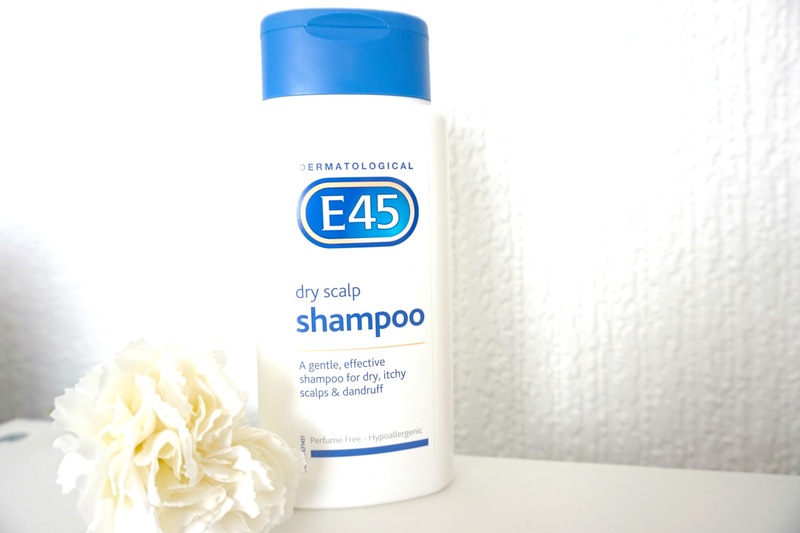 The last product I chose was the E45 dry scalp shampoo. It's a gentle, effective shampoo for dry, itchy scalps and dandruff. My hair is awful for dandruff, and it can be very irritating. I've never tried a shampoo aimed for dandruff before, so I was really interested in to see if this kind of shampoos works. You use it just like a normal shampoo, and I've noticed it hasn't made my hair flat, it's still giving my hair a bounce when I use it, just like my other shampoo. If you're looking for something for your skin whether it's sensitive, dry or something else, HelloSkin website can help you find the right one for you. 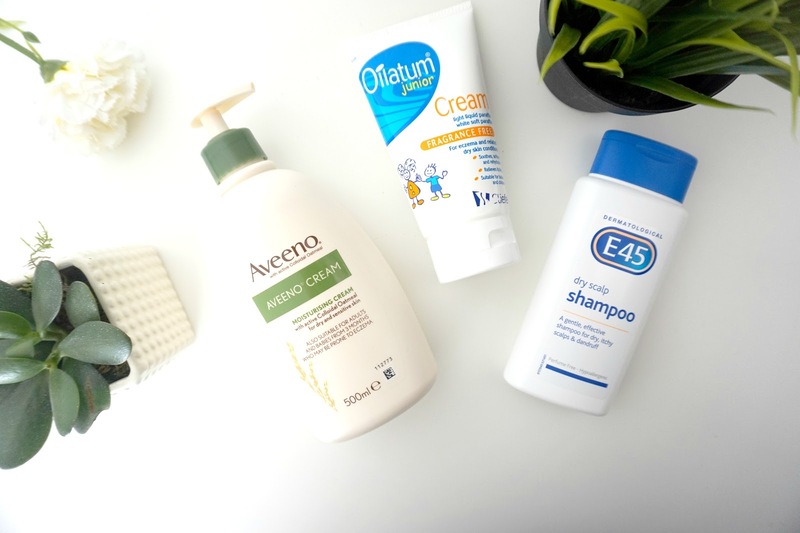 Did you ever suffer from dry skin after pregnancy? * We were kindly sent these items in return for an honest review post. As always, words, images and opinions are entirely my own.